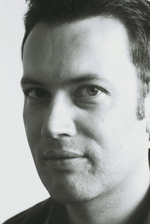 Andrew Anderson was born in 1971 in Melbourne, Australia, where he studied composition with R.A. Ford whilst also pursuing private tuition in violin and piano. He has been the recipient of two Masterworks prizes (ERMmedia, USA) for composition, resulting in recordings of his works by the Czech Philharmonic and the Prague Radio Symphony Orchestra. Anderson has written several choral works for the Christian liturgy, this writing being informed by engagements with parish choirs in both the USA and the UK, as well as private tuition in singing with Nigel Wickens (Cambridge, UK). He also has an interest in encouraging community engagement in music performance, being the founder of the University of Melbourne Artists Register. In black ink : three Shakespeare sonnets for voice & piano (2016) Commissioned by Gloria Gamboz. Piano trio in E minor : The Heart (2013) Commissioned by Streeton Trio. To whomever finds this note : SATB choir with piano (2010) Commissioned by The Consort of Melbourne.